I promised to do a lesson on blues rhythm, so here it is. This is amazingly easy, and should take no effort. The typical blues rhythm is often based on 12 bar blues, and just three chords. A typical example is a blues riff in A. The chords used are: A7, D7, and E.
if you don’t know these chords, then visit www.looknohands.com and learn them. each chord must be held for four beats. simple. but this is often a blues chorus. So there are a few more patterns, but this is gist a basic guide to blues rhythm. 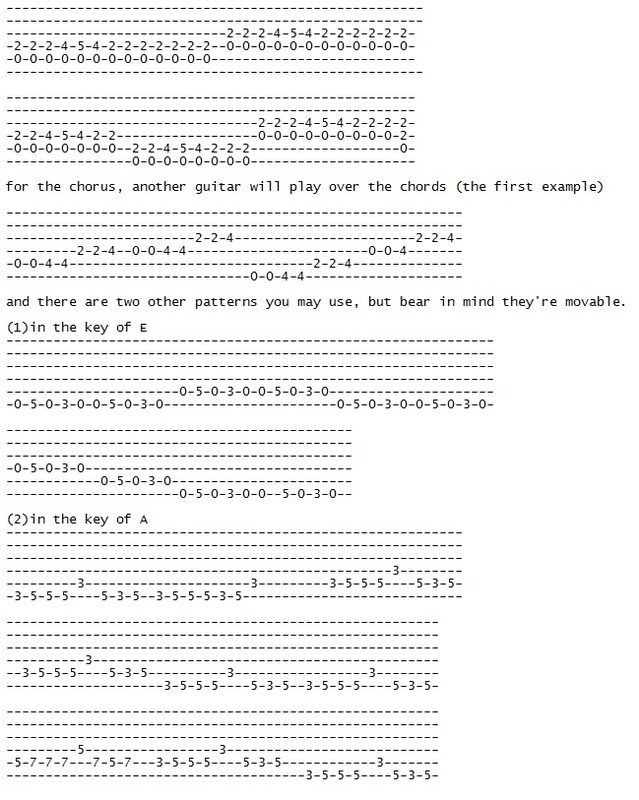 If you think this is easy, have a go at the blues lead lesson I have.